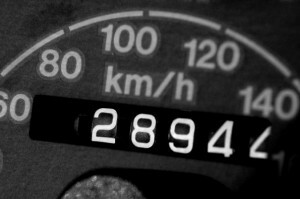 Home › Advice › How do you avoid a speeding fine? In New Zealand the usual tolerance is 10kph over the limit, and in holiday periods this is dropped to 4kph. There is some contention over whether this is successful in achieving a reduction in fatalities and as the practice is less than two years old it will take a few more years of data gathering until a trend can be seen and separated from the general trend of cars becoming safer. If you are caught driving over the limit either by a traffic officer or a stationary or mobile camera, you will receive a fine unless you have a very good reason, e.g. you were driving an ambulance attending an emergency and your lights were flashing. The only guaranteed way to avoid a speeding fine is to stay within the tolerance level on the day. The problem is that every year cars get quieter, more refined, smoother and safer. We feel like we can go faster because we feel disconnected from the road and from danger. Try driving 100kph in a 1960s roadster, then get in a late model sedan and you’ll see the difference immediately. The roadster will be trying to vibrate your body into oblivion whereas in the sedan you could listen to the quietest passages of classical music. A quick recap on the main speed limits you’ll encounter in New Zealand (noting that there are some exceptions to these rules): 20kph around accident sites and when school buses are dropping kids off or picking them up, 30kph around roadworks, 40kph around school zones, 50kph in most urban areas, 60kph – 70kph (as signposted) in urban areas on main routes, 80-100kph (as signposted) on the open road, dual carriageways or motorways. You can try road code questions here to test your knowledge. To stay under these speed limits there are some techniques you can learn. Some cars come with a head-up display that projects information, such as speed or satellite navigation instructions, onto the windscreen, but your first vehicle is unlikely to have this feature as it’s on newer more expensive models. You will spend your time scanning the road ahead for danger but you should also get into the habit of glancing at your speedo every 30-60 seconds. This isn’t just to keep your speed down, it’s also to help you keep your speed consistent as erratic use of speed is a major annoyance to other drivers – it makes it difficult for them to plan to pass you, or predict what you are going to do. Don’t trust your speedometer implicitly, though. All speedos are designed to over-read slightly. I.e. when it is showing 100kph you actually could be travelling anywhere between 95-100kph depending on what the manufacturer set as the margin of error, and how worn your tyres are (the more worn they are, the more revolutions they make to achieve the same distance and there’s no way for a standard speedometer to factor this into the calculation). Cruise control comes in several versions but the basic operation is that you set it at a certain speed and the car will maintain that speed until it is cancelled. 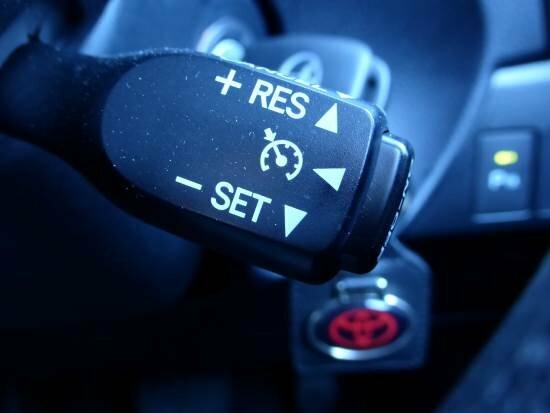 Cancelling cruise control is usually by changing gear, braking or manually switching it off. Older systems simply work by monitoring the speed and providing enough power to maintain that speed on generally flat roads. When you reach an uphill, if your speed falls more than a predetermined amount below the chosen speed the engine will supply more power and torque by applying more throttle and/or changing down a gear. Older systems can be unreliable on downhills, though, because they can let the car pick up speed over the desired speed. Modern cruise control will change down a gear and/or brake the vehicle if it exceeds the set speed by a predetermined margin. This is particularly useful for steeper downhills where applying the brakes cancels the cruise control setting. Of course, you can always press RES (for resume) to resume the cruise control settings after you’ve braked. Adaptive cruise control is appearing on more and more cars. This is a radar-based cruise control that adapts your speed to the vehicle in front. If you catch another vehicle up, it will slow your car down to match their speed and keep you a certain distance from the car in front. Here’s a video explaining adaptive cruise control. Adaptive cruise control often works with autonomous emergency braking systems. Speed limiters are a variation of cruise control which don’t allow you to exceed a certain speed. With a speed limiter you keep your foot on the accelerator whereas with cruise control you can take your foot off the accelerator. Some cars have a function that allows you to set an alarm if you exceed a certain speed. This will be visual, audible or both. Satellite navigation systems provide much more accuracy of your actual speed using GPS, usually within 1kph. Many of them will provide warnings if you exceed the speed in a posted area (the sat nav will often know the local speed). However, there is a delay from when you change your speed to when the GPS will report your new speed, so it’s best for using when setting your cruise control. If you drive a manual or a regular automatic (not a CVT), then 100kph in a certain gear will have a specific tone. This is related to the number of revolutions per minute (rpm) that your engine is doing. You can become accustomed to this tone and as human ears are very sensitive to changes in pitch, you will detect if you are deviating from that tone. Of course, cars are getting much quieter these days and often it’s hard to hear the engine over the wind and road noise, but if you have an older car or one with a modified exhaust, or a motorbike, then you will hear the pitch of the engine. A CVT gearbox has a constantly varying number of revs per minute depending on what is being asked of it so you can’t reliably use pitch to determine your speed as the engine’s pitch (caused by revs) could be dropping while you are still gaining speed. If that sounds confusing, it’s probably best for you to watch this video on how CVT works. The best way to drive is to keep your eyes on the road as much as possible. Cruise control is probably the single easiest way to keep within the law if you are on a motorway with light traffic. Overspeed warnings are also very effective but don’t prevent your speed from dropping. Speed limiters are very effective if you keep your foot firmly on the accelerator as then there’s no chance of the speed dropping or going above the set limit (unless you’re going downhill). Frequently checking the speedo is essential, and much easier if you have a car with a head-up display. You have the right to dispute a speeding ticket by contacting the Police Infringement Bureau and seek evidence from police that it is your vehicle. If it is not clear that the vehicle is your vehicle, or if there is another vehicle in the frame which could have been speeding, you may be able to successfully challenge the ticket. Tickets are assigned to a vehicle, not the driver. If you weren’t the driver you can request that the ticket is transferred to the driver. You can challenge a speeding ticket in court, but be aware of the costs you may incur if you lose. If you are caught on radar gun then you can ask to see the gun’s reading. The police officer must show it to you unless it’s dangerous to do so. It’s extremely difficult to win a legal argument against a speeding fine.